You are currently browsing the tag archive for the ‘zer0 books’ tag. The common factor linking Blair and Blur is that they made thoroughly sure to get their sell-out in first, to make perfectly clear that the dream was over, that there would be no more experiments, no more utopias, only a constricted, and as the still-unfolding financial crisis makes clear, utterly misnamed ‘realism’. 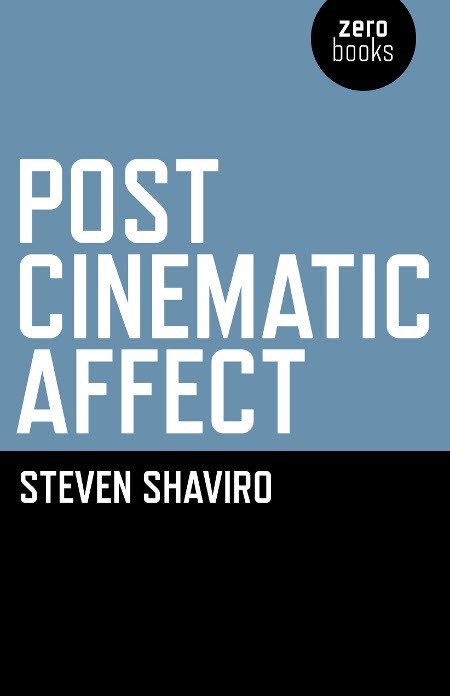 The generation that came of age in the mid-late 1990s were perhaps the most apolitical of the 20th century. leaving a mess which those born in that decade are struggling to clear up, through the student movement against the Tory-Whig Coalition government – whose Prime Minister, a fan of the Smiths and the Jam, displays impeccably Britpop tastes. Pulp were alone at the time in holding onto the possibility of utopias and alternatives, in being able to use the world ‘socialism’ without smirking – although they didn’t create an alternative so much as carry the idea through a most unsympathetic period. I have a memory of an Irish Times music journo summing up the Blur versus Oasis pop rivalry with, and I am obviously paraphrasing here, ‘while both sides fought over chart positions it was Jarvis on his push-bike who swooped in to steal the crown’. I was a fan of Pulp‘s music (I am horrified to discover having followed that link that I just missed their Sydney gig), both due to the catchy songs as well as my own contrary desire to stand apart from the mainstream taste-setters. Of course Pulp were not exactly underground, although following Jarvis led me to the amazing Oedipus Schmoedipus album by Barry Adamson, so I am grateful for that. 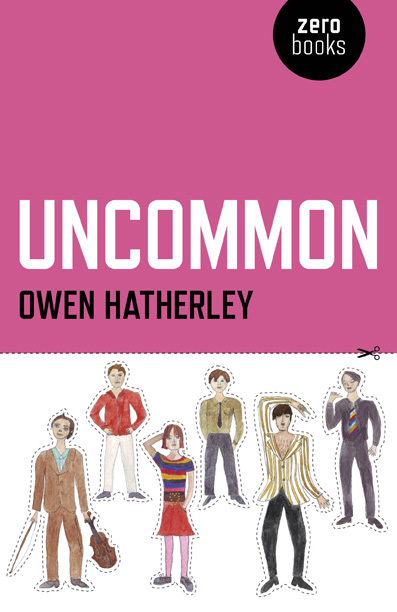 Owen Hatherley makes it quite clear early in this work that Uncommon is not intended as a prosaic discography – or even a biography of the magnetic Jarvis – intead it is an account of the band Pulp represents, the contrary associations it projected against the background of New Labour and Britpop at its height, an uncomfortable reminder for this narrow politically-minded subset of public school demagogues and PR denizens that Britain’s class culture was far less bucolic than their press releases would have the public believe. Damon Albarn’s mockney facade is here twinned with Blair’s ‘yeah yeah yeah‘ deceptive superficiality. The 90’s were awash in a pre-packaged faux nostalgia for previous periods – the mono-cultural setting of Britain’s past cited in order to eclipse its multicultural present; the fashions and empty rebellion of the sixties stripped of any political comment. Even Northern rockers Oasis were at it, Noel Gallagher’s lyrics summarising the druged up euphoria of rave culture, but weighed down with post-Beatles musical ballast. Pulp, Hatherley argues, instead situated their music and lyrics in the band’s experiences coming up in the politically marginalised urban environment of Sheffield, with the promises of reform and social improvements made during their childhood repeatedly betrayed. The evolving abilities of Jarvis Cocker as a lyricist is also examined. The song ‘My Legendary Girlfriend‘ released in1990 is liberally quoted from, demonstrating the singer’s talent not just at evoking a time and a place, but in telling a story. As the band progressed Pulp’s lyrics became decididly risqué, with Jarvis casting himself as a suburban lothario, an insatiable in his pursuit married women instead of the teenage girls that populate the chart ballads. Black humour becomes more prominent in the music, with an evident desire to expose the listener to a rage of emotions beyond simple titillation and yes, even expose the political hypocrisy of the era. One find of Hatherley’s in particular is the little-known, bombastic b-side Cocaine Socialism, a blistering indictment of New Labour. Of course singles like Common People and Disco 2000 (which I recall Jarvis blithely revealing in an interview he wrote to secure royalties for the Millennium) from the best-selling album Different Class launched the band into a difficult period of fame, confounding their attempts to use it to their own ends. The decline of the band is treated as a further opportunity to describe the frustrations of the neo-liberal 90’s and early 2000’s, as much as result of internatl pressures as it was their failure to be pidgeon-holed by the music industry. Hatherley has produced a perfect tribute to Pulp and the time that produced them as a band, invoking the sincerity of their ambitions as musicians and story-tellers. This account of their career is an excellent excoriation of Britpop and New Labour hagiographies.